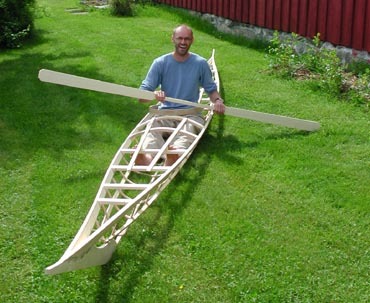 At a construction course you have the opportunity to learn the art of building your own sea kayak. The course is given in the best tradition of the Inuits, where the art is passed on from person to person. 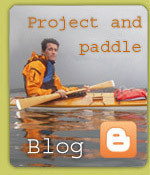 The course includes the opportunity to personalize the kayak as you wish, both in form and function. 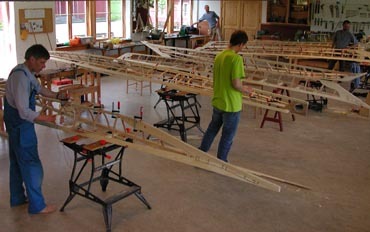 Each participant builds their own kayak under supervision. We use simple hand tools, and instruction in the use of tools will be given if necessary. We always make paddles, too. The course usually takes 7-9 full work days, and can be arranged as a week's course or as evening classes. The kayak is completed during the course, but you will need to spend 10-15 hours afterwards sanding, polishing, painting and performing other finishing touches. Courses are held all over the country for different groups. Usually at least 6 participants are required to start a course. Courses for smaller groups or even individuals can be arranged. They last a shorter time and cost somewhat more. Prices are provided upon request. These base prices cover time and materials. Materials for the paddle are included. Additionally, hatches may be requested. Travel, lodging and other expenses will be added for courses held outside the kayak specialist's workshop.